Businesses need an automated solution that can record and track the details of financial and non-financial activity for assets. Inaccurate inventory, wasted resources, compliance issues, and service delays are all every day risks for enterprises, that have serious consequences, if not addressed. To address this, our fully integrated product, AssetPlus, built on cutting edge technology, provides a unique solution to address these consequences. AssetPlus is fully SOA complaint with the web enabled interfaces providing rich user experience and ease of operation. To mitigate any risks involved, EGS AssetPlus offers organizations the ability to track the assets they have, where they are, usage entitlements, who uses them, how they are used, how they are configured, what they cost, and the value they deliver. EGS can help you to empower the capability of your Asset Management by making it work for you, where you need it and when you need it. 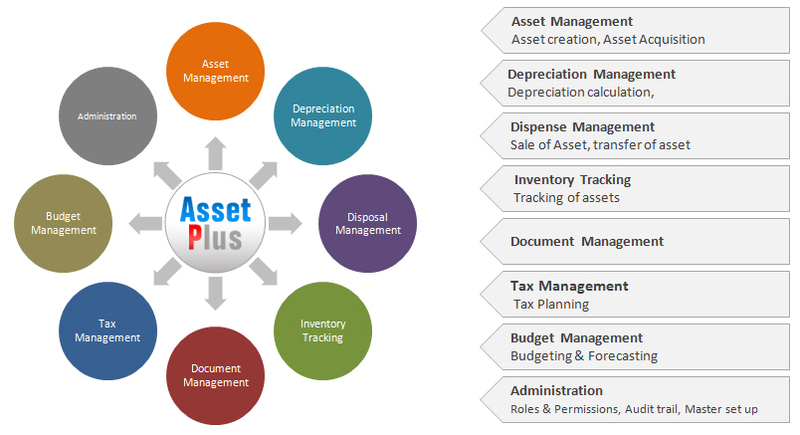 EGS AssetPlus is a user-friendly web-based software system for the management of the assets. It records the assets, allows the user to calculate depreciation for small, medium and large organizations. © Excel Global Solutions Inc. All Rights Reserved. Thank you for your interest. We have sent the material to your registered email address.